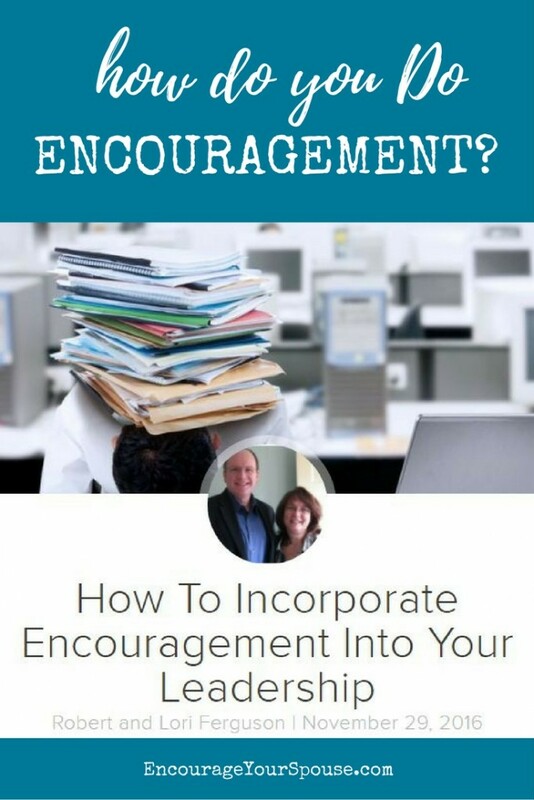 How do you DO Encouragement? 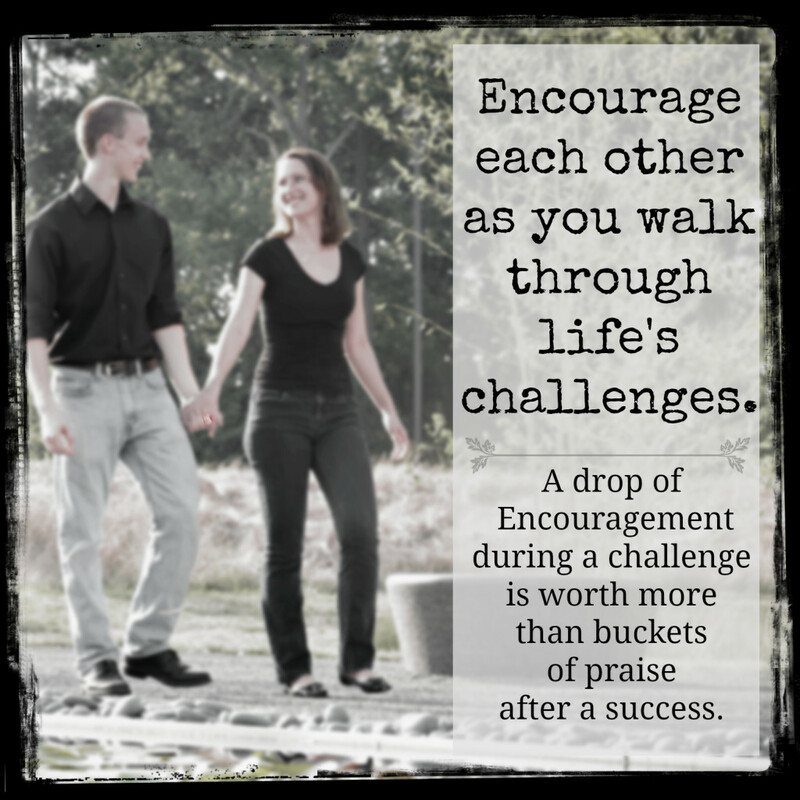 What is encouragement and where do you find it? 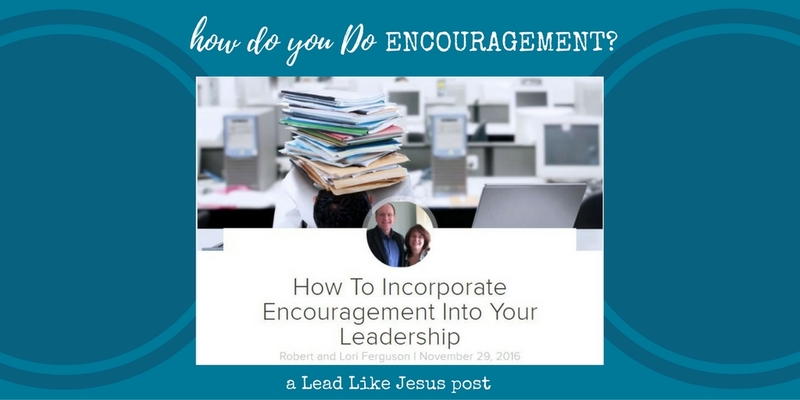 How do you DO encouragement? Encouragement is so much more than “rah-rah” or a pat on the back. Consider the word that’s found inside “encouragement”. Encouragement is so much more than “rah-rah” or a pat on the back. 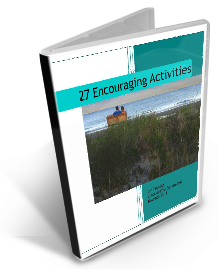 Encouragement is offering “courage” to the overwhelmed, overcome, overdrawn and overloaded. 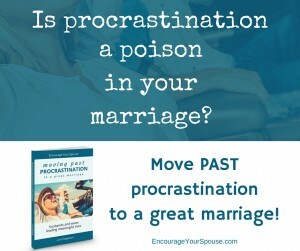 Does your spouse ever feel this way? As husbands and wives, as parents, as leaders in our communities, we need to model this encouragement principle. 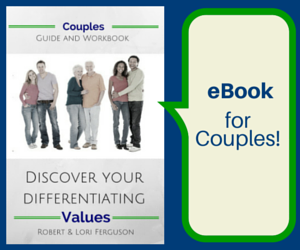 A drop of encouragement during a time of trial is worth more than a bucket of praise after success. Robert and I write for Lead LIke Jesus every month – here are a few more of our posts found on the site Lead LIke Jesus. Lead Like Jesus is a global leadership development organization that helps individuals and organizations lead more effectively by following the model of Jesus. 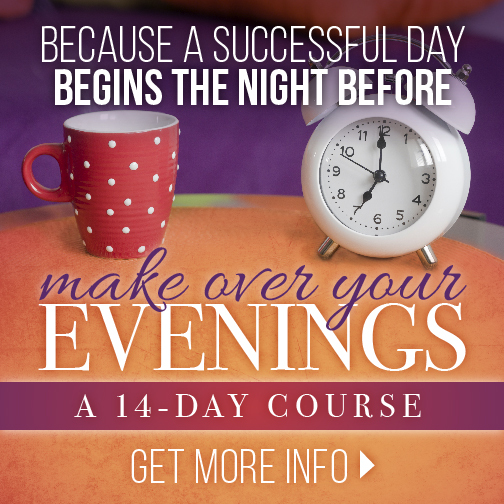 Robert is a facilitator and Master Trainer for Lead Like Jesus programs, including the newest – the DISC Biblical Behavioral Assessment. Framework. We believe skills and knowledge can’t replace character and integrity. Leading like Jesus involves the alignment of our Heart, Head, Hands and Habits. Definition. We believe leadership happens anytime we influence the thinking, behavior or development of another. If you have influence, you are a leader. Model. We believe Jesus is the greatest leadership role model of all time. So our leadership philosophy is simple: Follow the Leader. The Lead Like Jesus program originated from an endeavor with Ken Blanchard (1-Minute Manager author) and Phil Hodges. They’ve revisited their program and updated the original book, along with the President of LLJ, Phyllis Hendry.